Classroom libraries can be tough to manage! Tons of books, tons of bins and so often I have to go back and reorganize the chaos! I started introducing my classroom library thoroughly at the beginning of the year so students could get a strong handle on what what types of texts were in the library, how to organize the books and how to choose just right books for them. I start the year by only revealing a small portion of my classroom library. During my reader's workshop mini lesson, I introduce the bins on the shelf that are uncovered. 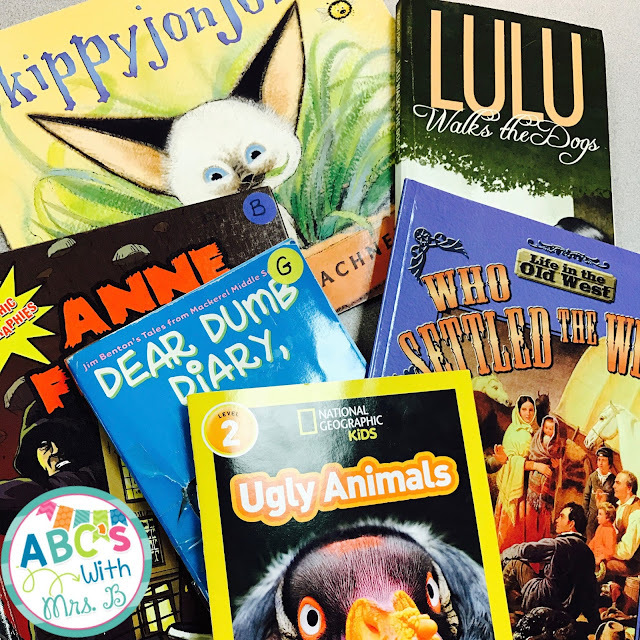 We discuss the different types of books in each bin and I pull out a couple of high interest texts from each to get students excited. I then give each pair of students a stack of books - 1-2 books from each bin (I prep this ahead of time). Students have to look at the books with their partner and sort them by deciding which bin they would go into. The students must then come to me and give an explanation as to why they would belong in that bin before putting them away appropriately. Once students are finished sorting, I give them a few minutes to choose books for their book box. 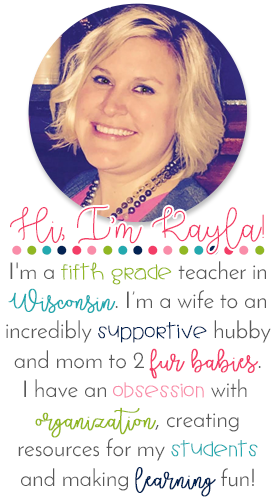 Students then go right into independent reading practice! Introducing my classroom library generally takes 3-4 days at the start of the school year. 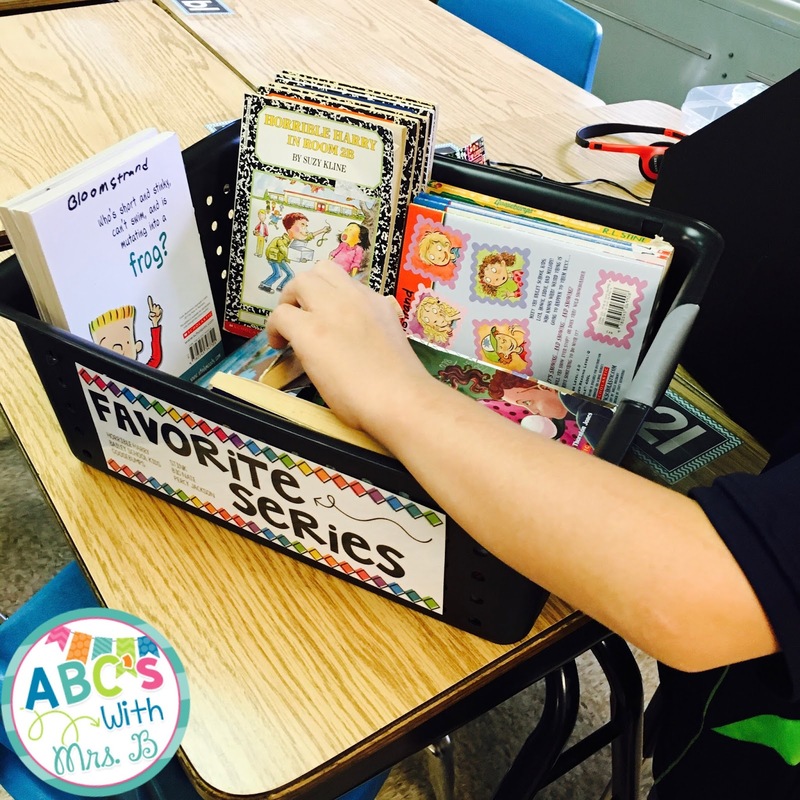 I go back occasionally throughout the year to reteach how to use the classroom library and show students when I've added new books - then the students can choose which bin it will go in. I also often get books that can go in more than one bin. (Example: Jackie Robinson biography can go into People and Places or American History.) Students get to decide! 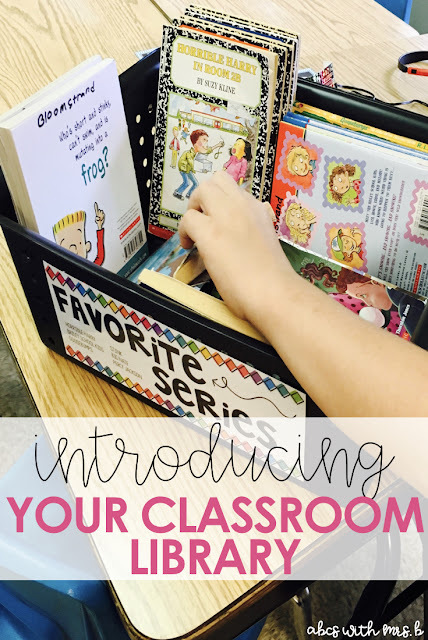 How do you introduce your students to the classroom library?